While you can always import data manually or by using some custom script, the plugin comes with three built-in import scripts to help you out. 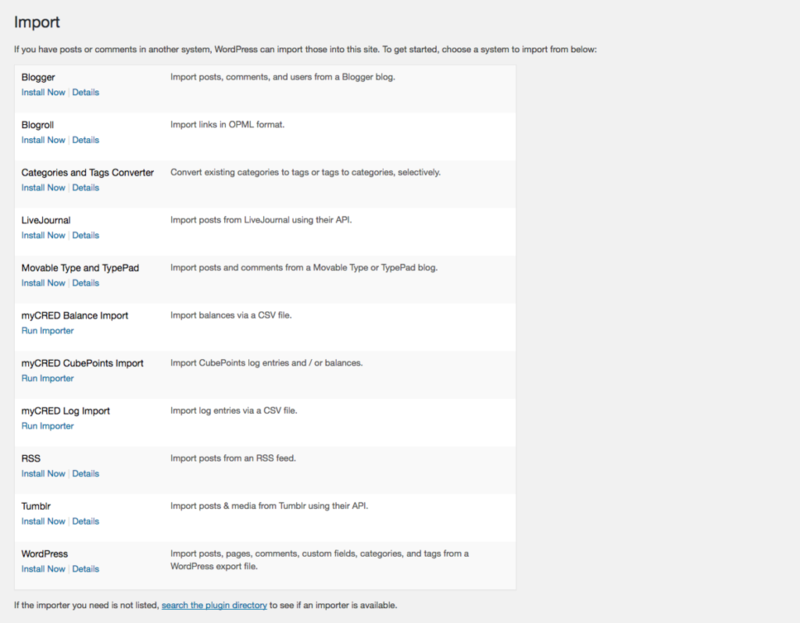 These importers will become available as soon as myCRED has been enabled and installed on the Tools > Import page in your admin area. In computing, a comma-separated values (CSV) file stores tabular data (numbers and text) in plain text. Each line of the file is a data record. Each record consists of one or more fields, separated by commas. When importing balances and/or log entries, the import tools require you to use CSV files. Make sure you follow the required structure and order of your data for accurate imports. If you are importing files that you exported from myCRED as a form of backup, the CSV files are pre-formatted for you.